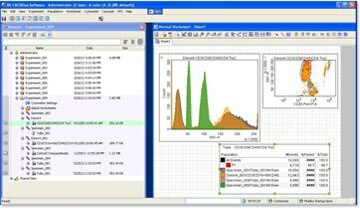 BD FACSDiva™ software is a collection of rich tools for flow cytometer and application setup, data acquisition, and data analysis that help streamline flow cytometry workflows for today’s busy laboratory. BD FACSDiva software provides new features to help users integrate flow systems into new application areas, including index sorting for stem cell and single-cell applications, as well as automation protocols for high-throughput and robotic laboratories. BD FACSDiva software is now compatible with the Windows® 7 operating system. View some of the tools and information available in BD FACSDiva software.